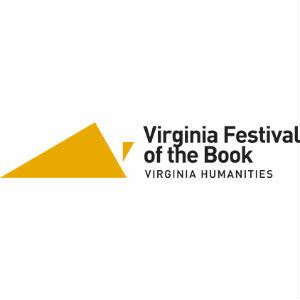 The Virginia Festival of the Book returns to The Paramount Theater on Wednesday, March 20 at 8:00PM with their program An Evening with Festival All-Stars – Lee Smith, Adriana Trigiani, and Douglas Brinkley. Then, on Thursday, March 21 at 8:00PM they will present their program All of Our Rights – America’s Legacy of Inequality. Lastly, on Saturday, March 23 at 8:00PM they will present the program Future Tense – Writers You’ll be Reading for the Next 25 Years. Tickets for these events are on sale now and can be purchased online at www.paramount.net, by phone at 434-979-1333, or in person at The Paramount Theater’s Box Office Monday – Friday from 10AM- 2PM at 215 East Main Street, Charlottesville, VA 22902. Douglas Brinkley, author of American Moonshot, is a professor of history at Rice University, the CNN Presidential Historian, and a contributing editor at Vanity Fair and Audubon. Seven of his books have been selected as New York Times Notable Books of the Year. Cronkite won the Sperber Prize for Best Book in Journalism, and The Great Deluge won the Robert F. Kennedy Book Award. Mitchell S. Jackson, author of Survival Math, won a Whiting Award and the Ernest J. Gaines Prize for Literary Excellence for his debut novel, The Residue Years. His honors also include fellowships from TED, the Lannan Foundation, and the Ford Foundation. Martha S. Jones, author of Birthright Citizens, is the Society of Black Alumni Presidential Professor and Professor of History at Johns Hopkins University. She was formerly a Presidential Bicentennial Professor at the University of Michigan, and was a founding director of the Michigan Law School Program in Race, Law and History. José Olivarez, author of Citizen Illegal, is the son of Mexican immigrants and a poet. His work has been featured in The New York Times, The Paris Review, Chicago Magazine, and elsewhere. In 2018, he was awarded the first annual Author and Artist in Justice Award from the Phillips Brooks House Association and named a Debut Poet of 2018 by Poets & Writers. Sarah Smarsh, author of Heartland, is an educator, speaker, and journalist who focuses on socioeconomic class and rural America. Her book was a 2018 National Book Award finalist and examines historic economic inequality through the story of her upbringing among the working poor on a Kansas farm. awards, including the North Carolina Award for Literature, an Academy Award in Fiction, and the Southern Book Critics Circle Award. Adriana Trigiani, author of Tony’s Wife, is a playwright, television writer/producer, and filmmaker. She is the author of seventeen books and directed the film version of her novel, Big Stone Gap, which was shot entirely on location in her Virginia hometown. Trigiani is co-founder of the Origin Project, an in-school writing program that serves more than one thousand students in Appalachia.